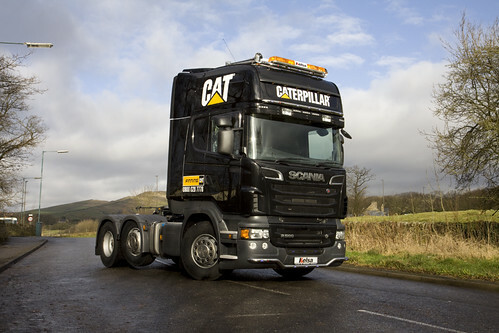 Those lovely yellow CAT machines need a good start in life, just like any little kitten does, so the boys at Ascroft Transport from Tarleton, Lancashire only use the best trucks to get them delivered. The latest edition to the fleet are 2 brand new identical Scania R560 V8’s, both are 6×2 midlifts with the Topline cab and factory fitted airhorns. 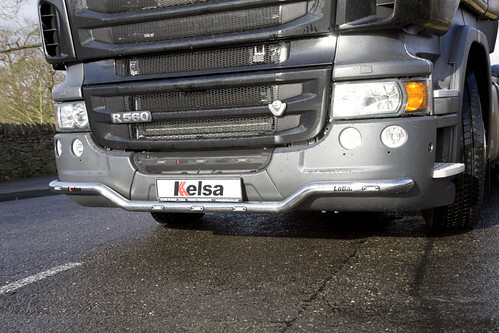 The trucks have also been jazzed up with a visit to Kelsa to fited out with no less than 4 light bars. 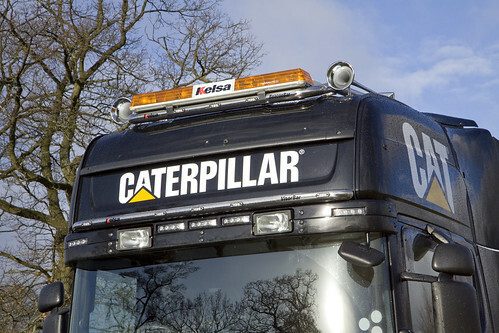 The black Scania’s have a rear facing Kelsa Bakbar and front facing Lobar, Visorbar and Beaconbars, all of which can be found on the Kelsa website for what ever your make of truck. As it goes Kelsa do sell to countries outside the UK, so ask them for a price to ship to where ever you are. Ascroft run a mainly Scania fleet, but also have Volvo and DAF too. 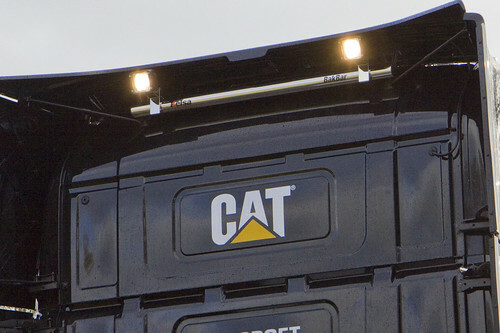 Usually the fleet colour is blue, but due to contractual agreements, a few trucks are operated in CAT’s black and yellow colours. Running in a top customers colours is fine untill you want to reload from your customers competitors, then I guess it can be a little tricky. I’m not sure if CAT signed up to have the V8 Scania’s pulling their machines but at least the V8’s do purrrr along, so it probably just adds extra feline effect!! 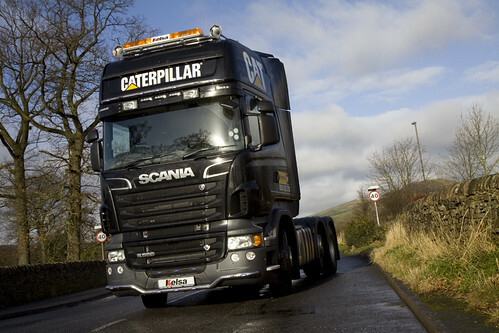 This entry was posted in Photos, Scania by truckbloguk. Bookmark the permalink.